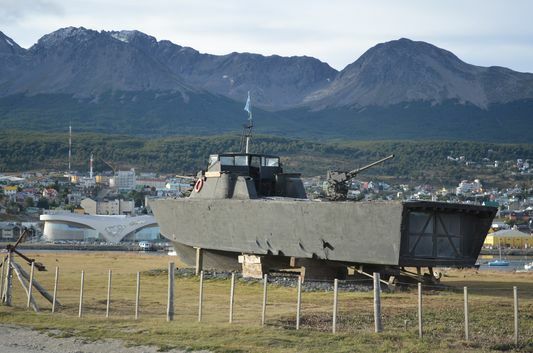 I visited Ushuaia, the town known as the End of the Wolrd, for 4 days in February. I have to say I fell in love with the town! Not just because it felt so interesting to be literally in the end of the world, in the Southernmost town, but also because of its unique beauty surrounded by the mountains and islands. 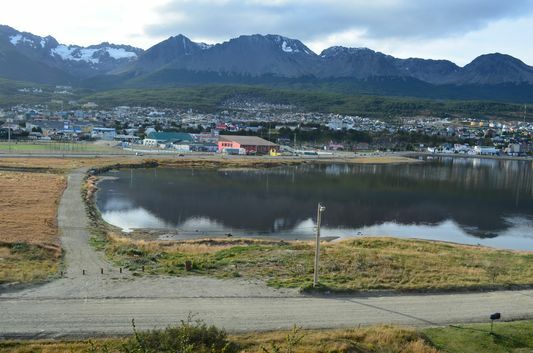 Ushuaia is located in Tierra del Fuego island which is the main island of Tierra del Fuego archipelago. 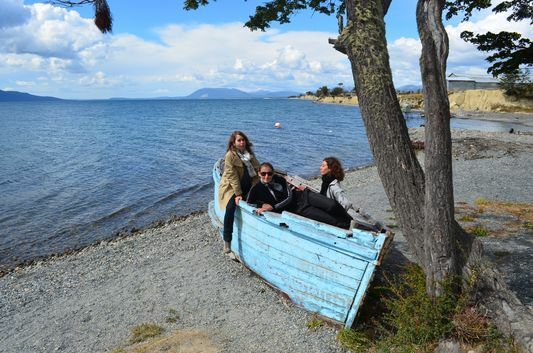 The island belongs to Argentina, but some other islands you can see around Ushuaia belong to Chile already. Obviously, first you have to walk around the town. You will go up and down the streets a lot which gives it a special feeling. 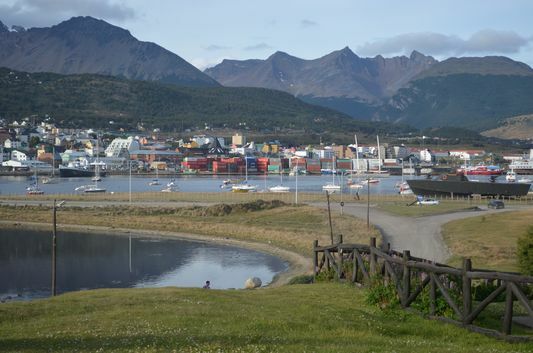 Visit the museums (some for free, the others a bit expensive), the port, walk around Bahia Encerrada and get up the hill above the houses at Miguel Berraz street where you get the best view of Ushuaia town and the Glacier Martial. 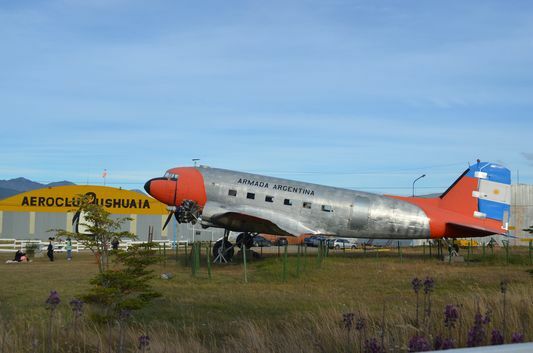 You can visit the Aeroclub or just get inside the port there and visit the two boats there. One of them is a white and green wreck and it is an extremely cool experience to visit it, and the second boat is just a few metres from it – a green army boat. 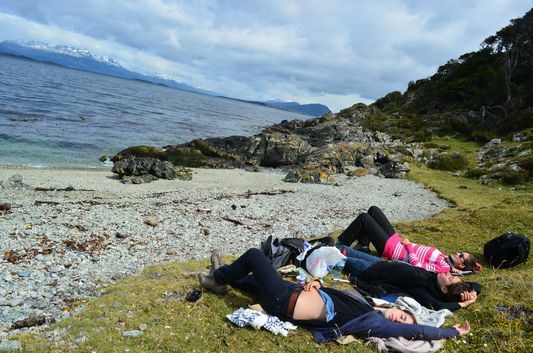 Take a boat trip around the Beagle Channel and the islands – Isla de los Lobos, Isla de los Pajaros, Faro (Lighthouse of the End of the World) or Pinguinera where you can see penguins and sea lions. I saw the penguins already before in Punta Tombo and the sea lions in Peninsula Valdes together with the other animals, so I chose to see something different here in Ushuaia instead. The End of the World is surprisingly full of attractions and things to do. 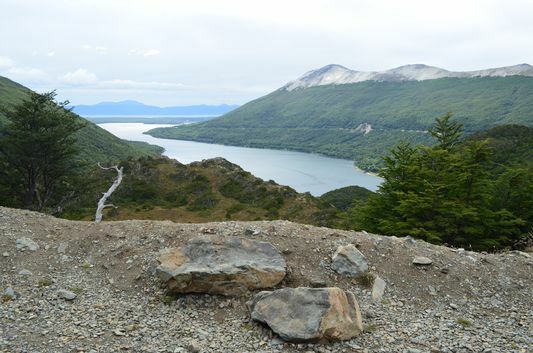 Just a few kilometres from Ushuaia you can find the very visited Tierra del Fuego National Park – the Southernomst National Park of the world. There, among other animals, you can see beavers. The beavers were brought to Tierra del Fuego from Canada in 1940’s to start the fur trade but they added up a lot as besides of men, there are no predators. 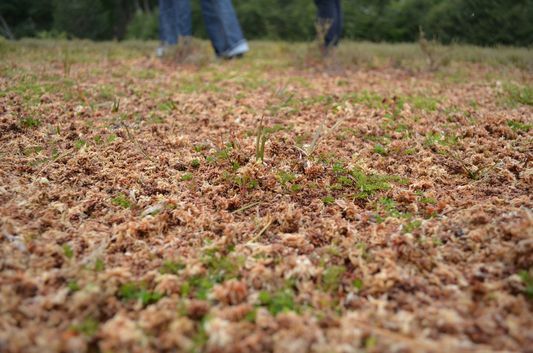 So the beavers started to affect the native forest, mostly by drowning the trees to make their damns. There is this famous Tren del Fin del Mundo – Train from the End of the World which I never took myself, but I heard from many people that it is expensive and not really worth it. But judge yourself. 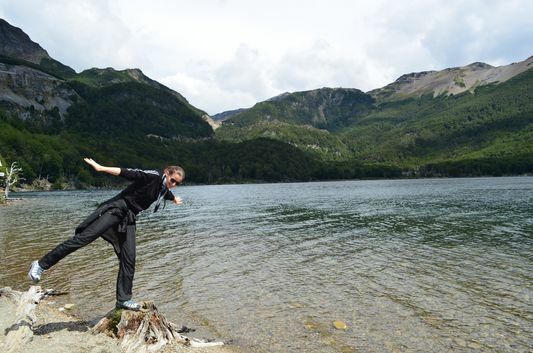 Then, you can spend a day hitchhiking and hiking to Glacier Martial not far away from the town of Ushuaia or to go hiking to Laguna Esmeralda. 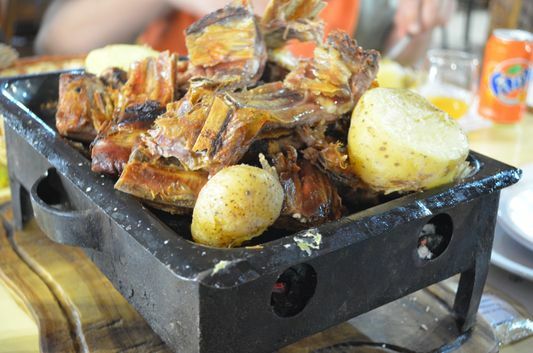 During the trip you will go to a nice viewpoint, enjoy the experience of jumping on turba (peat moss) in Cerro Castor, hike a bit to the lake Escondido (Hidden lake), then visit the huge lagp Fagnano of 98 km long (sometimes called lago Kami as well) and finish the trip having lunch in a cool restaurant Las Cotorras where the speciality is lamb meat, pasta or chicken. 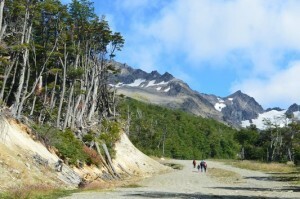 And if you just want to walk around the coast and see some interesting things, fairy-tale trees, stunning views, a secluded beach, big bones of unknown birds, shells and if you are lucky, also dolphins (like we did), then walking from Ushuaia to Playa Larga and Estancia Tunel is a must. 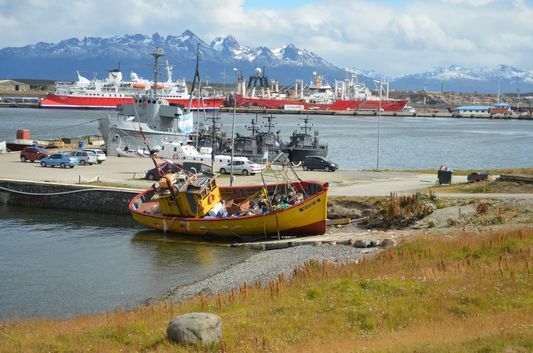 You just take the road going from Ushuaia to the left along the coast, following the Beagle Channel. There are not many tourists which is what I liked. We had a picnic at Playa Larga where we saw a dolphin. 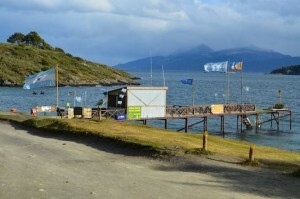 To get to Ushuaia by bus from any other town in Argentina, you have to cross Chile border. Remember than it is prohibited to enter to Chile with fruit, vegetables, meat, dairy products, milk, seeds and dry fruits and they are very strict with this. Banco de la Nacion in Ushuaia is situated at San Martin street with Rivadavia. As all the other banks, it is open only from 10 am to 3 pm during week days. 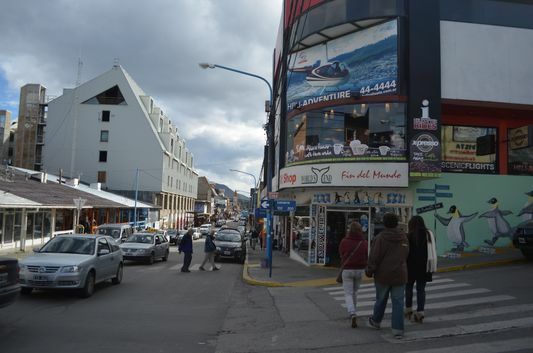 There is no bus station in Ushuaia (completely illogical as it’s visited by thousands of tourists) but the buses usually stop at Avenida Maipu next to the petrol station and the port. It is at the same place where the local buses to close-by destinations pick up the passengers. There is just one money exchange – Thaler at San Martin street, between the streets Godoy and Rivadavia. 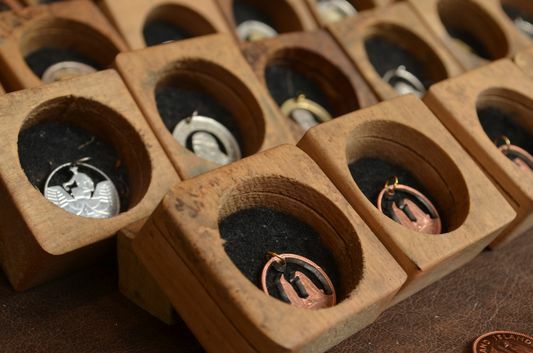 It is open from 10 am to 3 pm like the banks which is the only time when you can exchange any money. 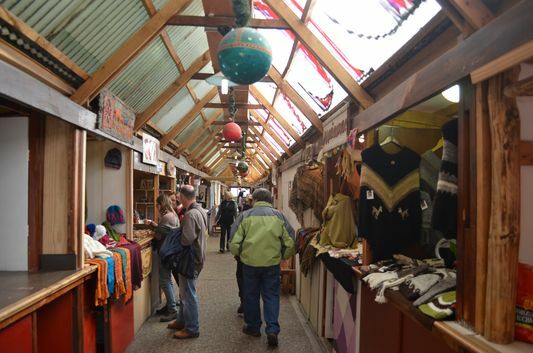 Then it opens again from 6 pm to 8 pm but you can only exchange foreign currency to Argentine pesos, nothing else. Ushuaia is pretty expensive. No wonder, if it is considered to be the end of the world. 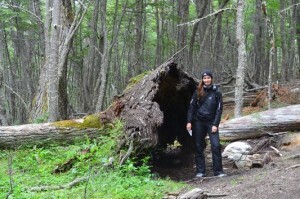 I enjoyed reading about your trip to Argentina as I’m doing a similar route with my daughter. 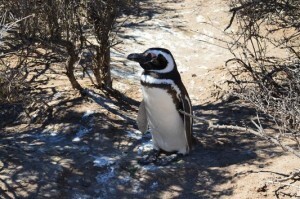 Based on what you’ve heard or done would you recommend seeing the penguins at Punta Tombo or Ushuaia? 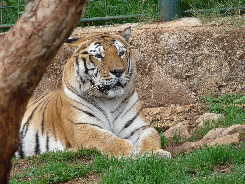 Hey Deborah, so nice to hear that you are going to visit the same places with your daughter. I always appreciate to see families traveling and thus experiencing new things together 🙂 I saw the penguins at Punta Tombo but haven’t in Ushuaia so cannot really tell the difference. 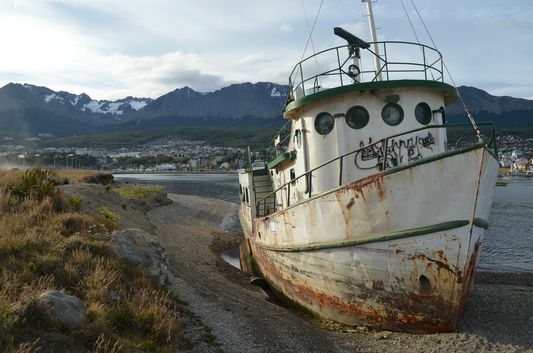 But if you are going to Ushuaia, and don’t want to spend more time traveling to Punta Tombo, just see them in Ushuaia then. 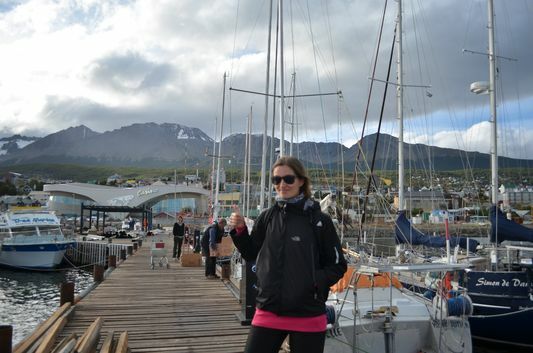 Just make sure you will have enough time to do other activities in Ushuaia, too. They are all so worth doing 🙂 Enjoy your trip! Wow, all the way to Ushuaia! 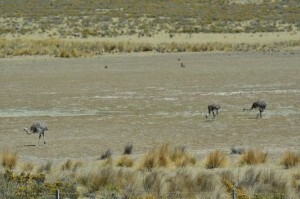 I wanted to go there during my last trip to Argentina, but ended up visiting the northern part of the country instead! It was breathtaking, but now I owe the south a revisit. Yeah, that was one of the things I loved about Ushuaia. You don’t see this very often! It does look beautiful especially being coastal surrounded by the snow capped mountain ranges.